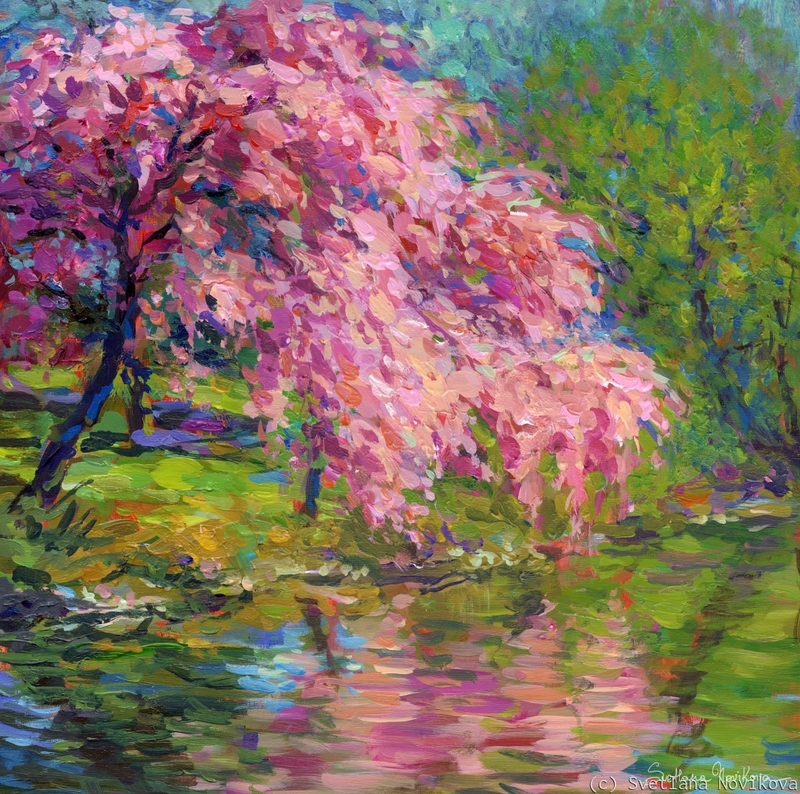 Colorful Blossoming trees reflecting in the water painting. Original sold. 5" x 5"9" x 9.125"13" x 13.125"17" x 17.125"21" x 21.125"23.875" x 24"